These are notes from a presentation by G.N. Saibaba on the history and current lines of different trends among communists in India. Saibaba is the Deputy Secretary of the Revolutionary Democratic Front (RDF), an All Indian Federation of Revolutionary People’s Organisations. Thanks to the Fire on the Mountain blog for making these notes available. Feel free to comment or expand on these notes. a. CPI (Maoist) – follows the line of People’s War steadfastly and surging forward. b. CPI (ML) Naxalbari, CT, PCC (ML) and others like CPCRML who are close to the Maoist party in terms of line to a greater or lesser extent. Also Red Flag – Communist Revolutionary Platform, CPI (ML) Central Team, and CPM (ML) New Democracy — these are all small, but they have a small mass base. They partake in mass struggles but do not conduct armed struggle at present. They are right deviationist in the understanding of the Maoists. CPI (ML) Liberation is now fast turning revisionist, a fairly large party mainly in Bihar. There are no left deviationist groups remaining in India. There used to be some Lin Piao groups, they hardly exist anymore.c. 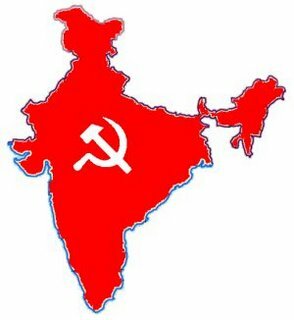 Communist League of India (ML) split from the CPI (ML) originally in the 1970s. They believe that India is a capitalist country. They split into five different groups. They are small and work in urban pockets. This is an interview with G.N. Saibaba, the Deputy Secretary of the Revolutionary Democratic Front (RDF), an All Indian Federation of Revolutionary People’s Organisations. He is 40 years old and was born in Andhra Pradesh, a state in southern India. The new Norwegian party Rødt [Red!] conducted this interview in early December when Saibaba was in Norway for the memorial service for Tron Øgrim. The interview was conducted in English. Thanks to the Fire on the Mountain blog for posting it. Red! : If someone said to you that the Maoist movement in India is a marginal movement that is mainly operating in very backward, lowly populated areas, and it has been doing so for over thirty-five years without getting anywhere, what would be your answer? Saibaba:The Maoist movement in India is not confined to the backward areas. It’s a vast movement, and includes the “developed” areas. 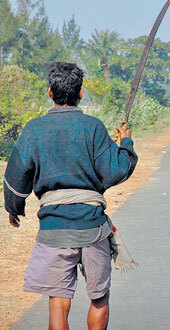 Maoists work both in the countryside and the cities. The government says that the Maoists are active in 15 out of 28 states. And these include the major states. The Union Home Ministry says that 167 districts out total 600 districts in the country are covered by Maoists. This is a little less than 1/3 of India. The Maoists in India follow the New Democratic Revolutionary method proved successful in China under the leadership of Mao. This method follows that the revolutionary movement must put priority on working in the areas where the state is weak. The Maoists work in the backward regions to smash the local reactionaries’ power and establish people’s power. They build revolutionary mass bases in these backward areas. This doesn’t mean that they don’t also work in the cities. In fact, in the Congress of the CPI (Maoist) held in January/February 2007, they decided to increase their work in the urban areas. They have produced a new document concerning work in the urban areas that analyses the work done in the last thirty years. This document sets out a strategy for developing the work in the urban areas.